This weekend is the weekend we would have normally hosted Mush for a Cure on the Gunflint Trail. Last year we didn’t hold the event due to the opening of the brewery and because one of the founders of the event couldn’t return to Minnesota to help with it. It’s very difficult not to have the event but it’s super difficult to put on as well. Without someone jumping up and down to put the event on we aren’t holding it this year either. 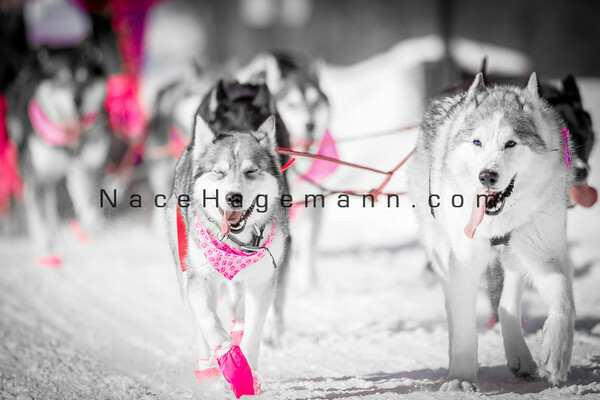 It’s something near and dear to my heart and I miss having all of the mushers, spectators and volunteers participating in such a fun and worthwhile cause. The one thing I don’t miss is the worry that comes with holding the event. We would always cross our fingers for good snow conditions so the mushers could have a safe and fun time. It’s probably a blessing we aren’t having it this year because the snow and ice conditions are less than ideal. There will be mushing on the Gunflint Trail this weekend. Hopefully the conditions will allow for a fun time on Poplar Lake for the Dog Days of Winter. This event was started by Sarah Hamilton and the local mushers who wanted a fun event to end the mushing season. It’s a chance to interact with mushing teams and celebrate the great sport of mushing on the Gunflint Trail. If you’re in the neighborhood then check it out, it’s sure to be a good time. We will supply the snow and a box of accessories. You are welcome to bring your own items. Be creative and be decent.